Black History Month takes place throughout October, with schools and colleges teaching students about moments in history that focus on black culture. Many have criticised the idea of ‘Black History Month’. Actor, Morgan Freeman, has publicly denounced the month saying that black history and culture should not be only taught for one month of the year. 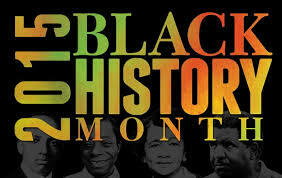 Others have stressed the importance of the month, as it is a fantastic time to celebrate and highlight the impact that black culture has had on todays society. There are many famous landmark stories from the likes of Nelson Mandela, Rosa Parks and Martin Luther King which have become pillars of black history and are favourites that are taught during Black History Month. However, it is the unsung heroes that we wanted to celebrate. adult jail for defying bus segregation. Claudette’s act of bravery happened a full nine months before the actions of Rosa Parks. Or the story of Matthew Alexander Henson who became the first African-American Arctic explorer, and is credited by many as the first man to reach the North Pole, in 1909. Or Miriam Makeba who was known as “Mama Africa’, a South African singer who refused to wear make up of curl her hair for performances, so proudly wore what later became known internationally as the “Afro-look”. All activists in their own right and all important figures in Black History.